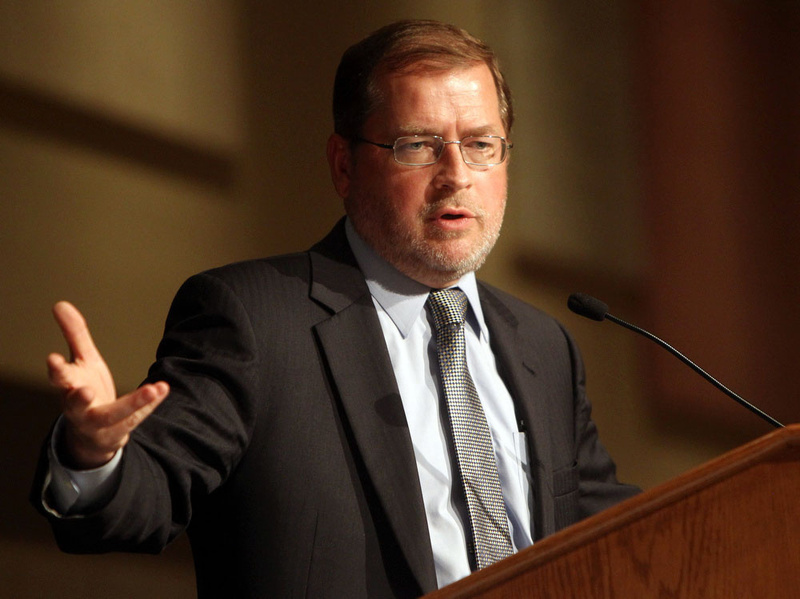 Norquist came to Boise on Tuesday to tell Idahoans why he thinks conservatives should support immigration reform. A crowd of more than 250 came to the talk sponsored by the City Club of Boise. The Harvard MBA and president of Americans for Tax Reform spoke in support of the bipartisan bill now being debated in the U.S. Senate – which thus far both Idaho Sens. Mike Crapo and Jim Risch have opposed – and lauded Idaho Rep. Raul Labrador for being “front and center” in the debate in the House. Norquist’s talk was underwritten by the Idaho Business Coalition for Immigration Reform and the Idaho Dairymen’s Association, but he asked for no speaking fee and was compensated only for expenses.